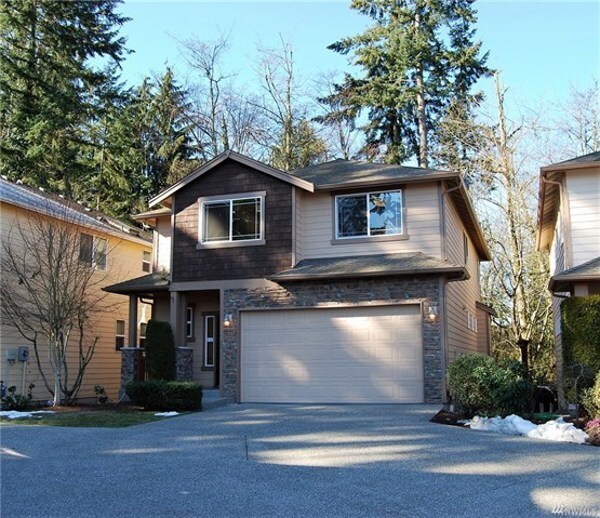 Lovely East facing Parkplace home backing to green belt in North Bothell! 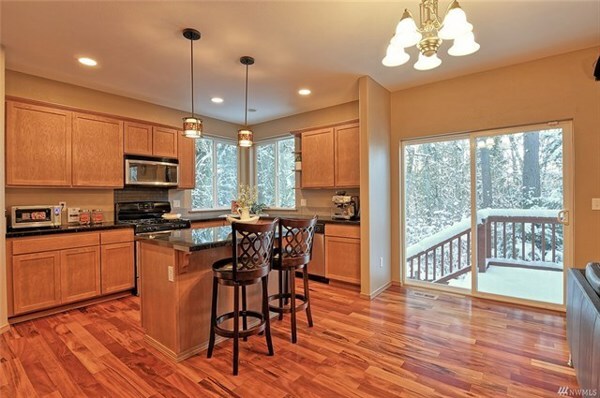 This beautifully maintained home features 4 bdrms, 2.5 bths and 2,193sf of open interior living space. 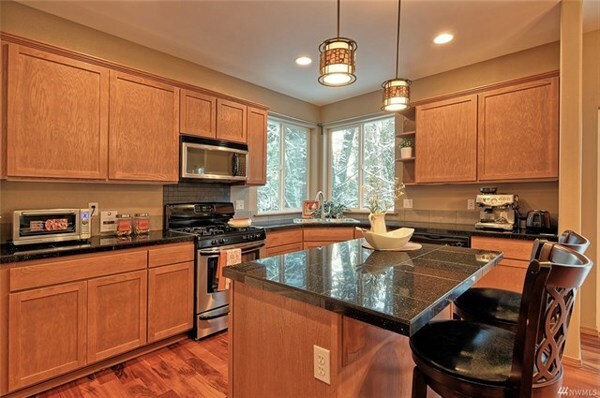 Inviting kitchen w/granite tiled counters, SS appliances, gas range & pantry. Adjoining dining + family room with focal cozy gas fireplace. 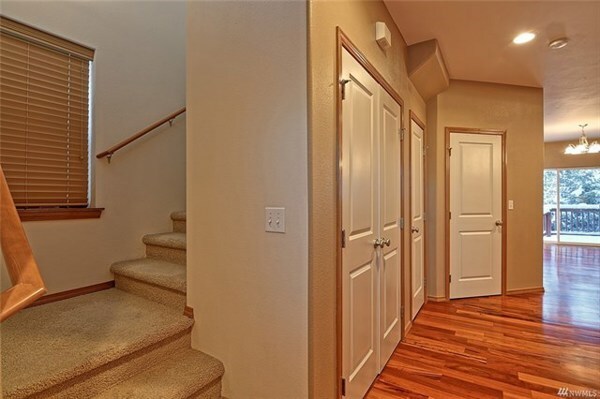 Restful master suite w/5pc bth, heated flrs + walk in closet! 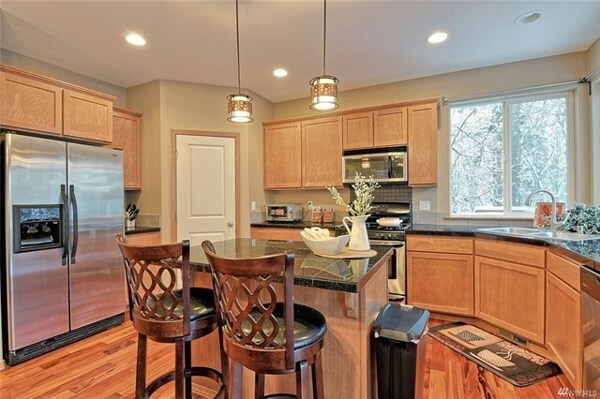 Hardwood floors, quality window treatments, skylights, Northshore schools, minutes to major routes, the list goes on!